In any emerging technology there is always a “break in” period to acclimate the public to accepting the new technology as mainstream. 3D printing and Rapid Prototyping Technology is currently going through this break in period. Let’s first look at another technology that has broken through the barriers and is now in the home of most households around the world, the microwave oven! This technology was discovered by accident in the 1940’s and although there were consumer models for sale, the technology did not catch on and become a conventional solution until the 1980’S. That’s about 40 years to achieving widespread acceptance. Initially the first microwaves cost millions to develop and now are available for about $100.00. Today, a professional grade 3D printer starts around the price of a really nice luxury automobile. Needless to say there are not many consumers who have a professional grade 3D printer hanging around the home or office. As the technology reaches out, more and more consumers will see the advantage of using 3D printing to actualize their ideas. There are several types of 3D printing clients. However, 3D printing is most popular amongst large corporations who spend millions on research and development to materialize new products. Large corporations are willing to spend top dollar to outsource 3D printing jobs because of the savings they achieve using this technology. Think of it as a small tax (in comparison) to being able to literally save hundreds of thousands of dollars in research, development and prototyping costs. These corporations upload parts and receive an instant quote for the end product. The price is based on lead-time, resolution, and the type of material used to manufacture the part. Additionally, the price is set by the markup of the 3D printing service provider. What if the customer of 3D printing service is not a corporation with a million dollar budget? Instead, what if the customer is a home inventor with limited monetary resources? It’s not fair to exclude this demographic from the benefits of 3D printing just because a service provider chooses to maintain outrageous profit margins. If 3D printing technology is to change the world, then it must be available to the entire world. 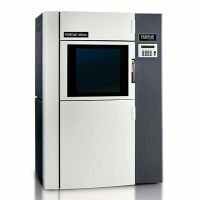 Finnovation Product Development is dedicated to providing professional grade 3D printing services to all who desire it. Obviously, the point of running a business is to be profitable, yet Finnovation Product Development is able to provide professional 3D printing services using the same technology as higher volume service providers at a significantly discounted rate. Whether you are a home inventor or a large corporation Finnovation Product Development 3D printing service offers you the most competitive pricing for 3D printing service, period. We will prove it! Send us your part today for a quote and compare us to your current 3D printing service provider. Since we currently offer free overnight shipping to all of our clients, Finnovation Product Development is confident that we will provide you with the most cost effective and reliable service. Using only professional grade 3D printing technology, we put your ideas into your hands faster and more affordably than the competition!